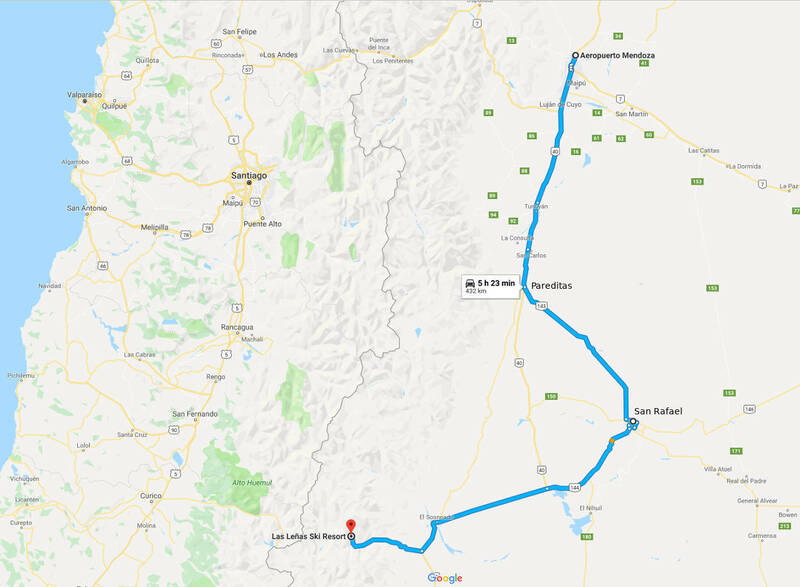 Las Lenas is inconveniently located 1,182 km (734 miles or 14 hrs) from Buenos Aires or only 500 km (310 miles or 6 hrs) from the Mendoza airport. 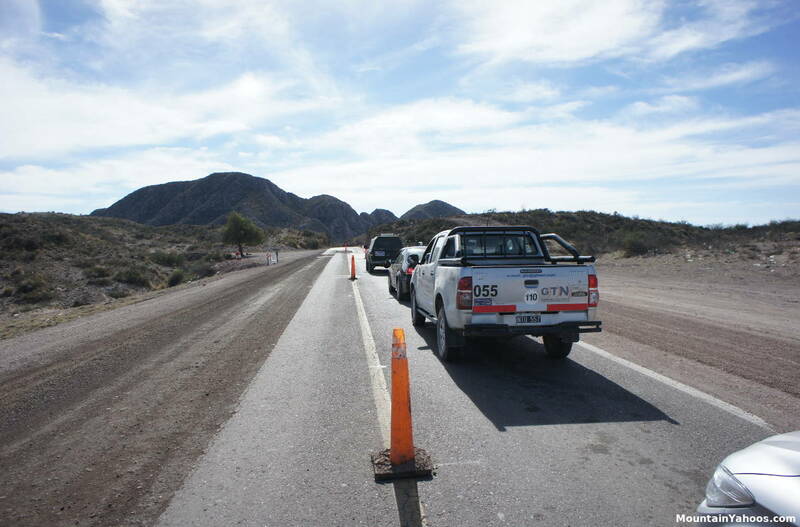 Most international travelers will fly into Mendoza and you will presented with the option by Google maps or by your GPS of taking two routes, a 500 km route along highway 153 or a shorter route of 374 km along a more prominently marked highway 40. Don't be fooled by Google maps or by your GPS into taking either as "highway" 40 includes a 74 km stretch of dirt road which does not qualify as a highway in any first world country and the route via highway 153 is an unnecessarily long path. Instead set your GPS to the town of San Rafael, but don't bother entering into the town itself. 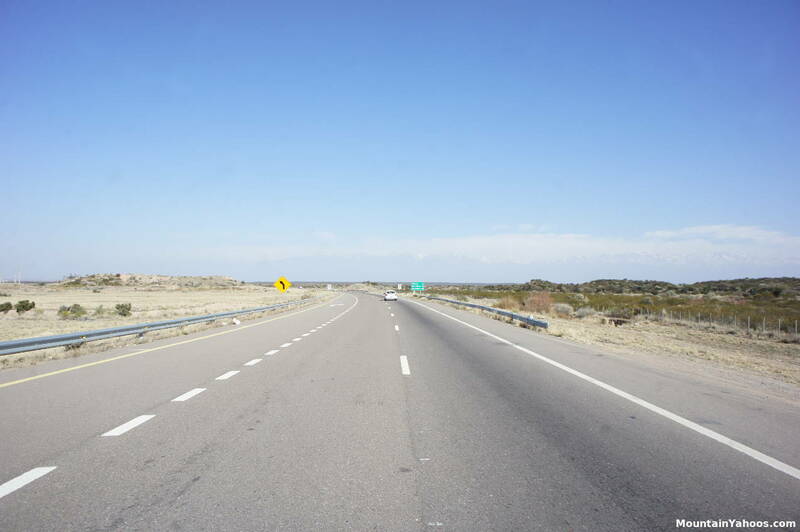 The route along 143/144 is paved, has cellular service, towns and petrol stations along the way and meets the qualification of being civilized. 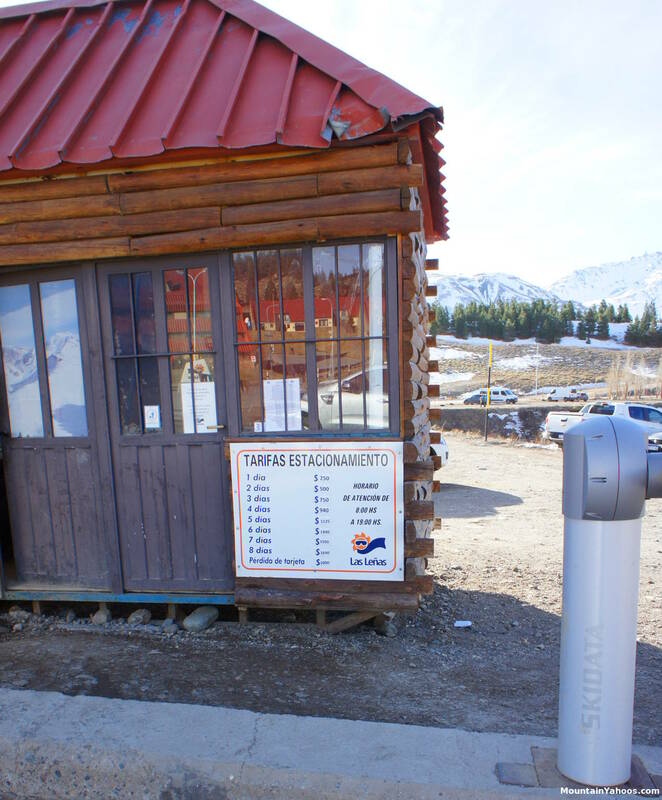 By the way, there is also a petrol station on 222 just outside of the resort. 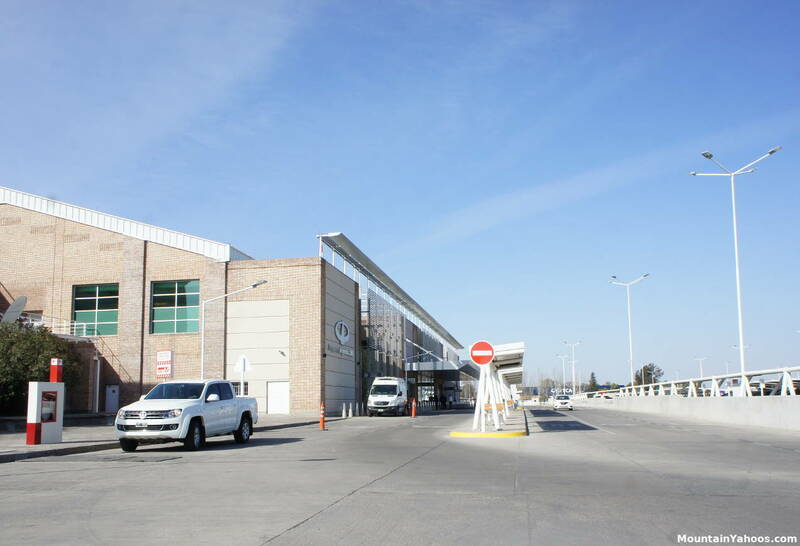 Most international travelers will arrive at the Mendoza International Airport, a modern, clean and hassle free airport. Note that much of downtown Mendoza is unsafe at night. Resist any temptation to explore downtown at night when driving through unless you have a native scouting report of the area. A daytime visit to their state park "Parque San Martin", should be encouraged. Mendoza also has some very fine restaurants. Highway 40: The last stretch of highway 40 (before hwy 144) is 74 km of dirt road. It is relatively free of potholes but the entire road is wash-boarded, limiting your top speed and testing your dental fillings (hopefully you have a good health plan). 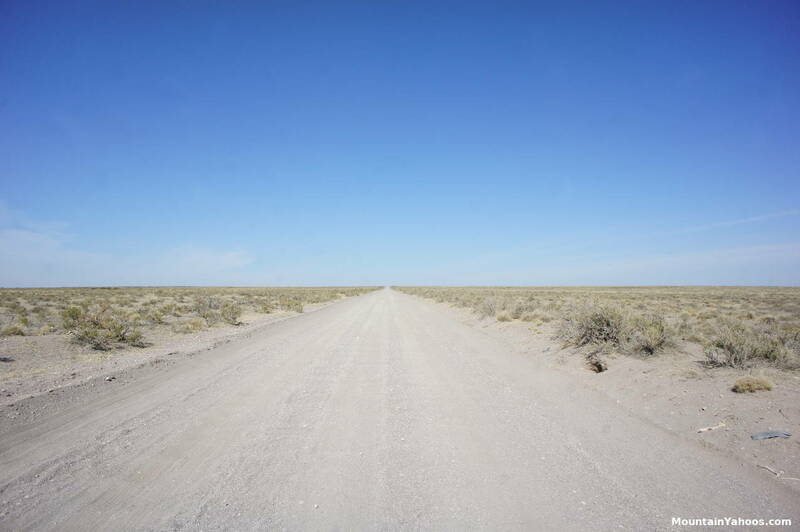 It starts off as a paved road until you come upon a barrier with a detour sign around the barrier onto the dirt road which ends at Hwy 144 It is desolate for the entire length, without any signs, buildings or cellular phone service. This is not the preferred route. Take the paved path through San Rafael. The Las Lenas Welcome sign is the first sign that you are about to arrive. 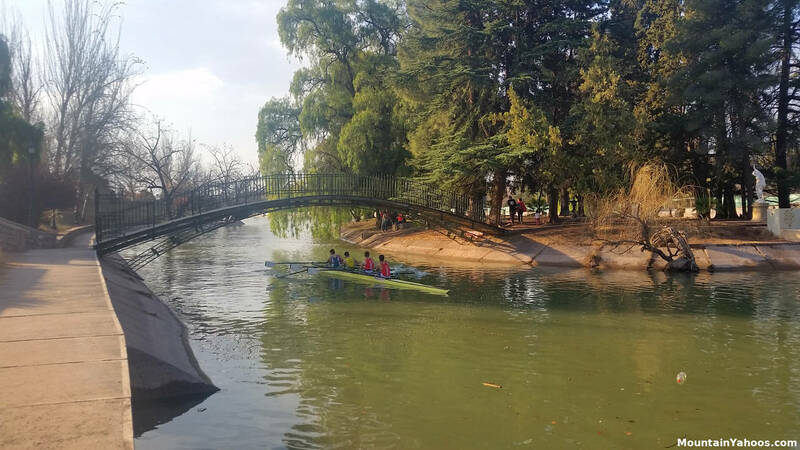 Mendoza Parque San Martin - a worthy stop if you have time. It clears out quickly as sunset approaches. 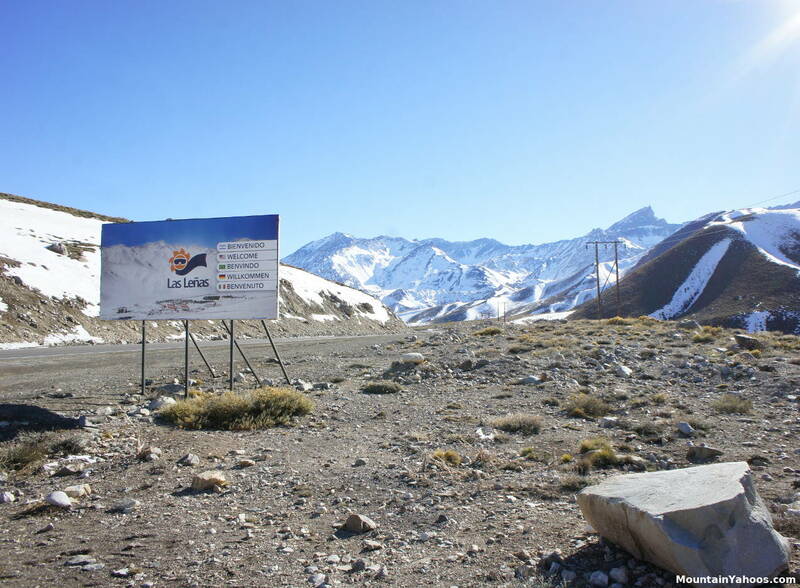 Las Lenas is located in the middle of nowhere and a long way from Mendoza's International Airport. Note: You are obligated to carry chains when driving the high mountain road up to Las Lenas. 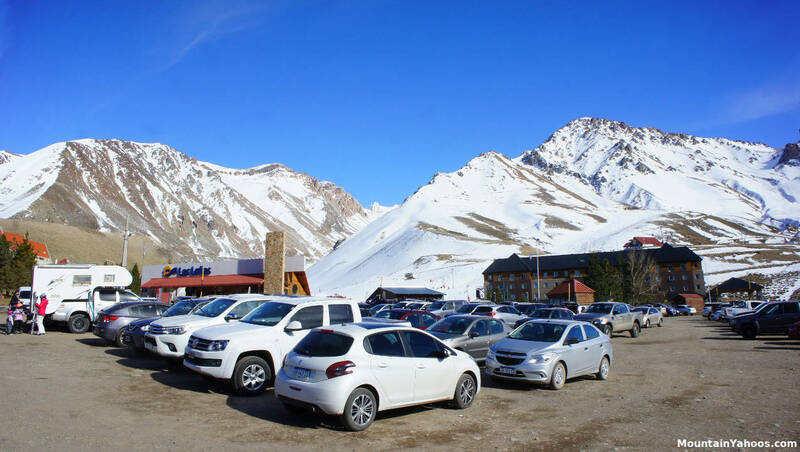 Las Lenas has a paid lot at the base of the mountain where access is limited to working hours (8:00 to 19:00). If you are driving in for the nightlife, you can park on the side of the road just before encountering the parking lot. For those staying in one of the local hotels, the hotel will provide parking. If you get a flat tire in-and-around Las Lenas, there is a tire repair shop on route 222 just before the juncture with Hwy 40. 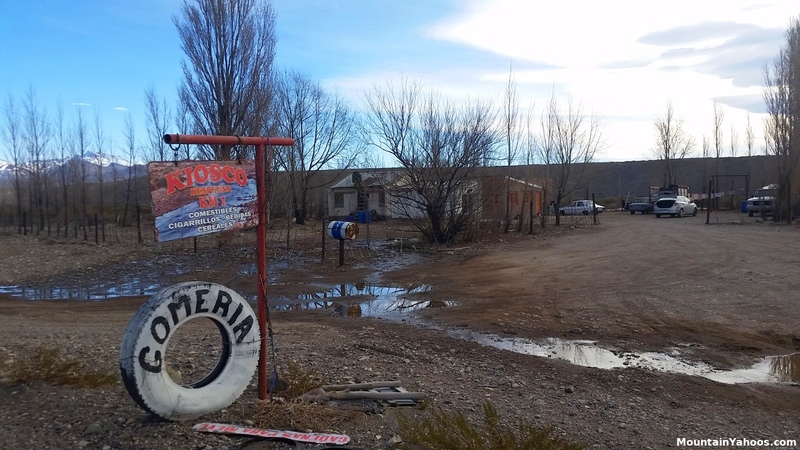 The place is marked as "Gomeria" which in Spanish means a place of tire change and repair. Note that the gas station in Las Lenas has no auto repair.